About a month ago PUMA delivered a new pair of signature boots for Mario Balotelli. Unfortunately for him and PUMA, Super Mario was injured shortly after his first game in the boots. Now Puma are ready with a new pair of signature boots for another one of their players, who also happens to be injured at the moment. 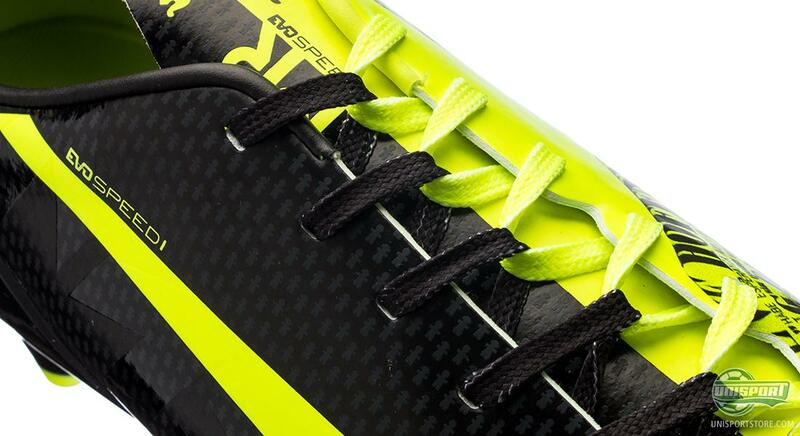 This does however far from make their new evoSPEED Tricks MR less interesting. Check it out here. Marco Reus has definitely not had luck on his side. Since his injury only days before the World Cup, the injuries have continued to rain down on the prolific German. 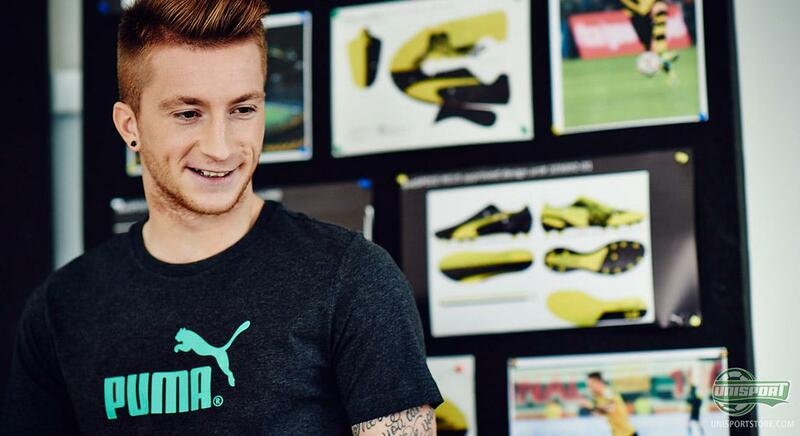 Now PUMA try to raise the spirits of Reus, with his very own signature boot, which embraces some of his biggest passions in life. Pay homage to Marco Reus with the new evoSPEED 1.3 Tricks MR – just 250 euro. 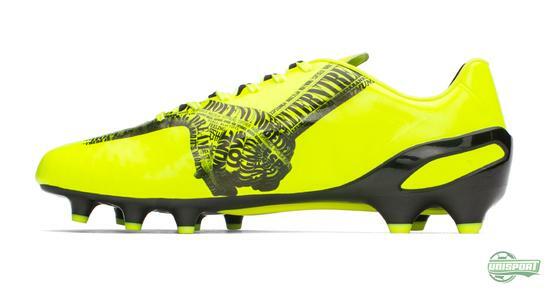 The new evoSPEED is designed with the same Tricks concept that really took over during the World Cup and also featured on Balotelli’s boot design. 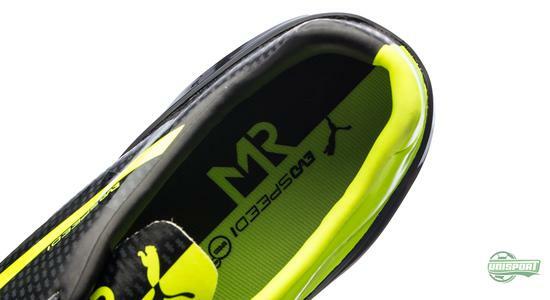 With this signature boot for Marco Reus, Puma have gone with the colours of his club Borussia Dortmund, where he has applied his trade for many years now. The design itself is built around the words Hope and Believe. 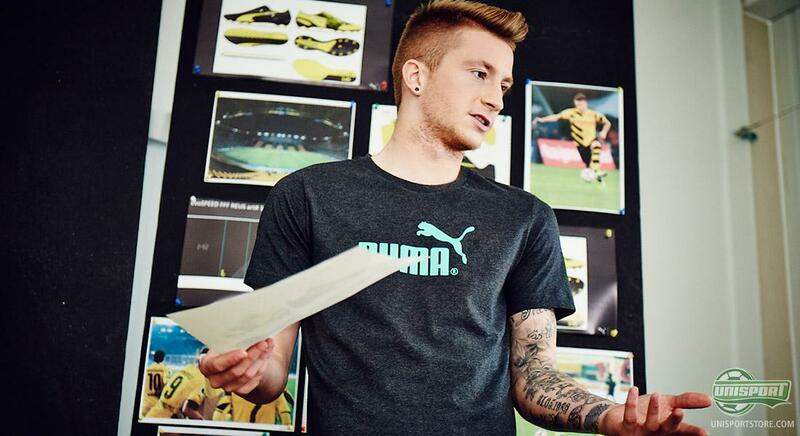 Two words that Reus mentioned time and time again during his chats with the PUMA design team. To Reus the word hope is one of the most important in the world, especially for children. This can also be seen in Reus’ heavy involvement in child cancer fighting foundations in Germany. 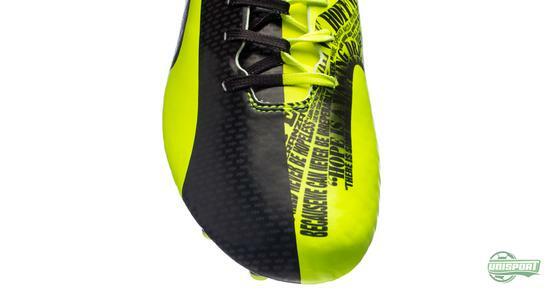 The boot therefore also features two interlocked hands, made up of inspirational phrases. 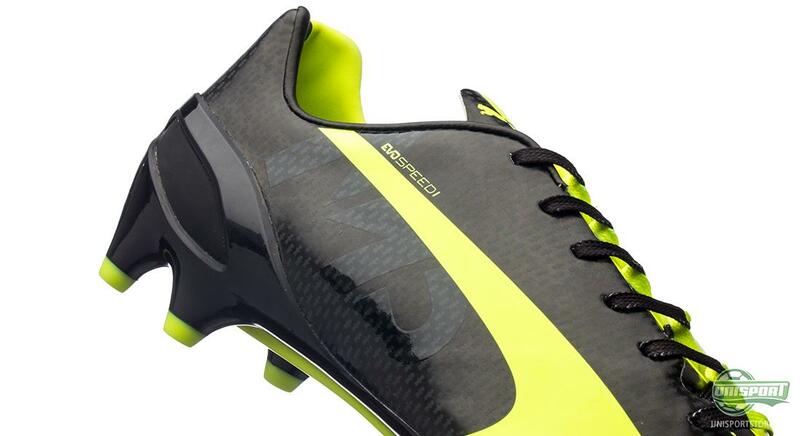 You can already get the new evoSPEED 1.3 Tricks MR – just 250 euro. The boot comes in the well-known format, with its evoAptoLast that ensures a tight fit, which is especially necessary on a lightweight boot. 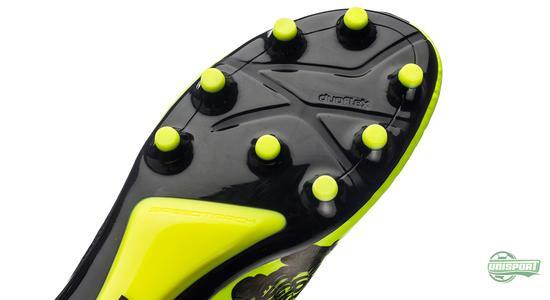 The Duoflex sole is also placed on the bottom of this evoSPEED to ensure the optimal balance between flexibility and stability. 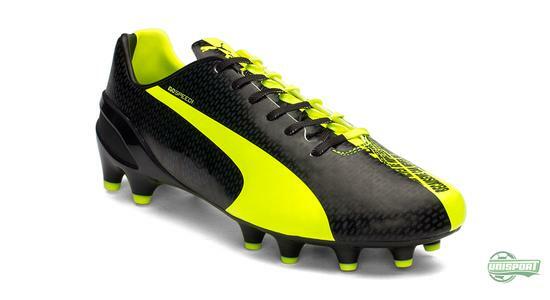 Puma have however chosen not to use their EverfitCage EXT, just like they decided not to on the evoPOWER Tricks. 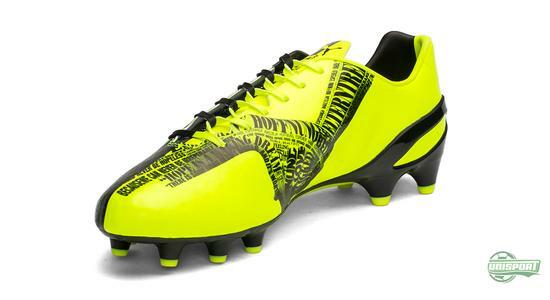 The design comes through the close collaboration between Reus and PUMA, where they together agreed on the ideas and graphical look. The personal touch from Reus is expressed in many ways and a nifty little detail is that on the black side (Lateral side) there is drawn little boys and girls holding hands. This sends a brilliant message of unity, compassion and always holding on to your dreams. Something that obviously means a lot to Reus. 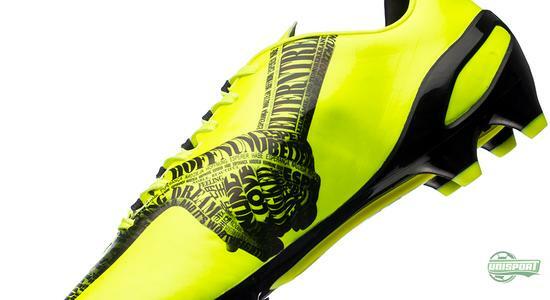 PUMA introduce a new chapter in their series of signature boots. Get it right here – just 250 euro. 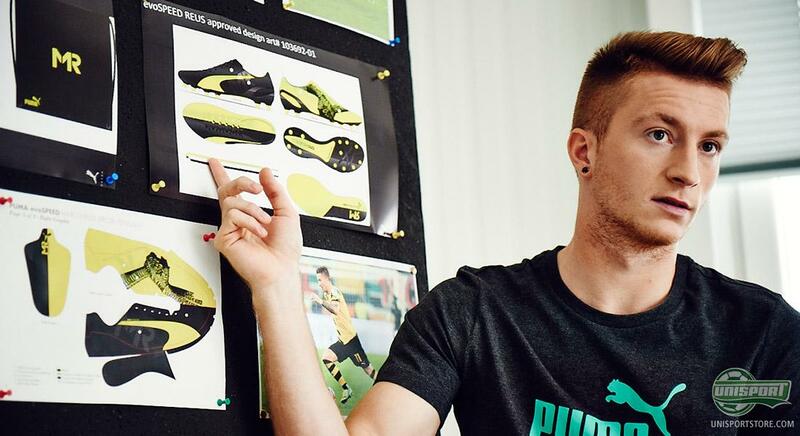 Marco Reus will unfortunately not get a chance to play in his own signature boots any time soon, as his injury is keeping him out of play for the near future at least. You can help him promote the great message connected to this evoSPEED Tricks MR in the meantime. What do you think about the design?